I'm not exactly a tattoo person. I currently don't have any. There have been numerous times in my life when I thought that I would never get one. I'm eternally proud of myself for not being one of those girls who ended up with a tribal tramp stamp. I've often said that I didn't truly have anything meaningful enough that I would always appreciate. 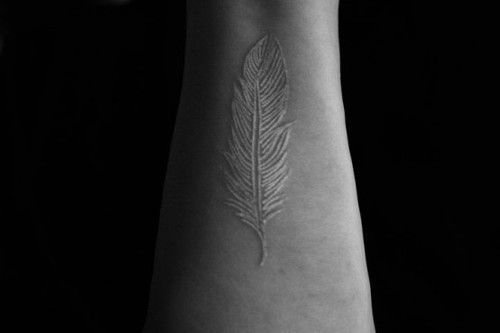 I think tattoos on other people are interesting but I don't often see artwork that I find aesthetically beautiful. 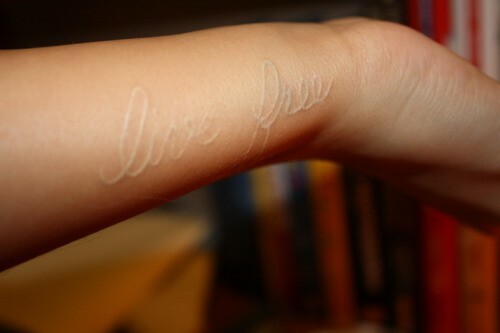 However, I think white ink tattoos are unusually pretty. They've been growing in popularity, so finding a qualified artist isn't as difficult as it once was. Don't get me wrong, the last thing I want to do is get something trendy permanently placed on my body. But it's been a few years and I'm still intrigued. 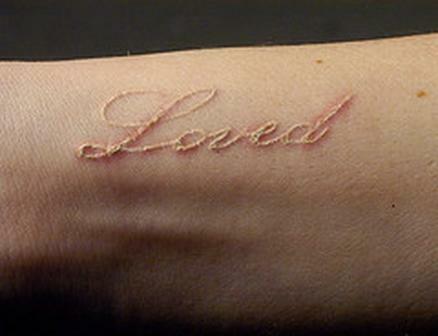 I don't think I know anyone with a white ink tattoo. Because they are so subtle, it's hard to know for sure. That's what I like about it. 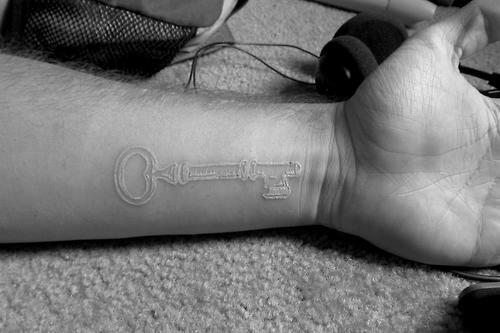 If I'm getting a tattoo, I want it to be for myself or for someone extremely close to me. I don't need everyone in the world to know about it. I also don't want to drastically alter my body. 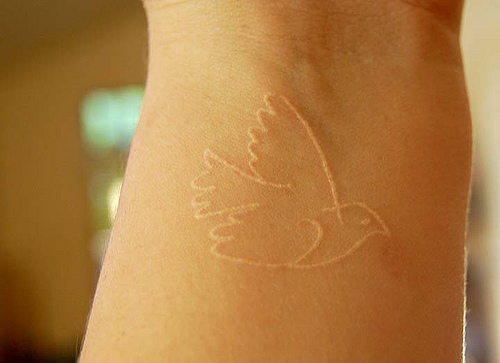 I've researched white ink quite a bit and read that it works best on fair skin. I'm lighter than the glow of the pale moonlight so that works in my favor. 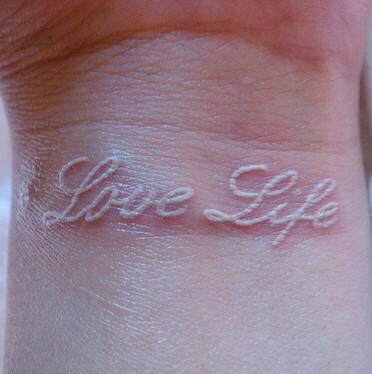 I like that the white ink makes the tattoo look like a raised scar. It almost appears like a natural part of the body. When I leave the United States next year for the first time (it will only have taken 27 years!) and visit the country where part of my family originally came from, Ireland, I may get a tattoo. I'm going to research everything extensively (the journalist in me) and really think about this decision over the next several months. But if it still resonates with me by September 2013, I may join the ink club. What am I going to get you may be wondering? I have a small symbol in mind that I would draw for the artist. It's not something I created but it is universally known- the Trinity Knot (also known as the Triquetra). 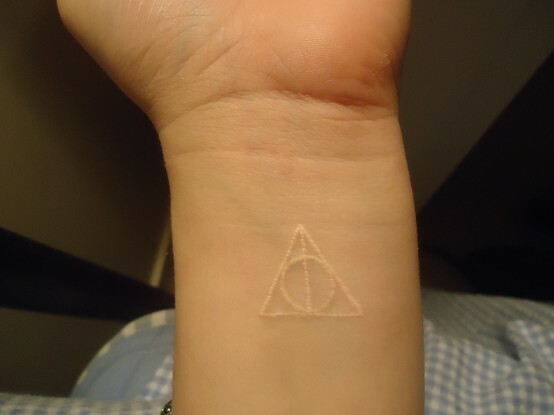 I would most likely place it just below my left wrist as I am left-handed and that is the side closest to the heart.